Social Media | My Name Is Benwizzi, I Am A Tech Nerd. I will plead the fifth on this. 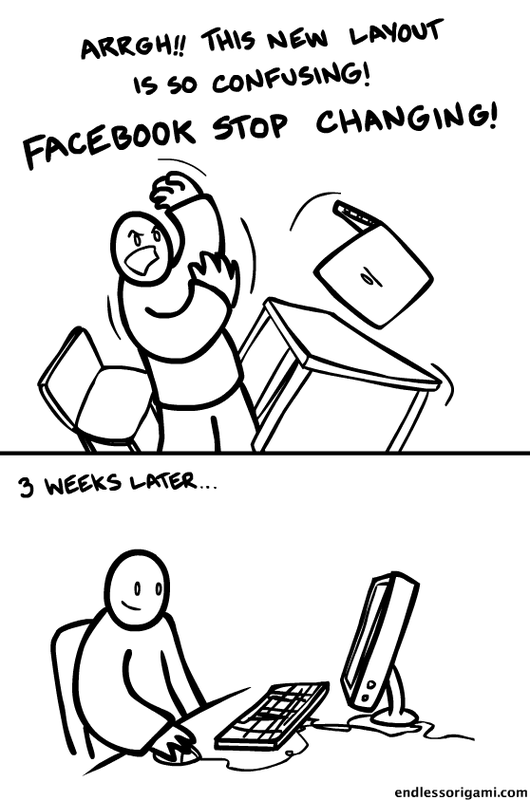 But it all boils down to how often you use Facebook. Now if you dislike your job and use it all day, I understand. You need whatever programs (that aren’t blocked by your dictator-like company) to keep you sane and to make you happy. Of course there are exceptions. Some companies can’t deal with all the bandwidth, others are just horrible places to work for. Talking On The Phone = Boring? Your #1 Star – Twitter? For as long as I can remember, I have been a fan of professional wrestling. When I was little, I equally watched the World Wrestling Federation (WWF) now known as World Wrestling Entertainment (WWE), along with a slew of other wrestling companies. There were the guys I worshiped and the guys I loathed. For a short time, I did believe it was real. Then I woke up. For the past 20 years, I have become a fan of the inside of the business. (real names, salaries, backstage politics, advanced storylines,, etc.) And I have seen the ups and downs. If you want me to talk about wrestling, I will do that another time. But this has to do with the recent company’s interest and now obsession with Twitter. I am already perturbed with the term ‘Social Media’, but it’s hear to stay. But the WWE felt it was necessary to join in the frenzy. And if it’s good for business then more to them. It has worked in small doses. After pay-per-views or during Monday Night Raw and Smackdown; they promote topics, wrestler names, or other items that are trending topics on Twitter. A decent amount of wrestlers in the company have accounts on there. Dennis Ritchie – Heard of Him? Well until this past Sunday, neither did I. He was found deceased, last Wednesday, October 12, 2011 at the young age of 70. It’s only because a friend of mine posted an article on Facebook, from Incept Design based out of Tampa, Florida. Here is the link, for your review and education. I am guilty as well, but I stand to right my wrongs and give the man his credit. He deserves as much, if not more praise, than Steve Jobs. 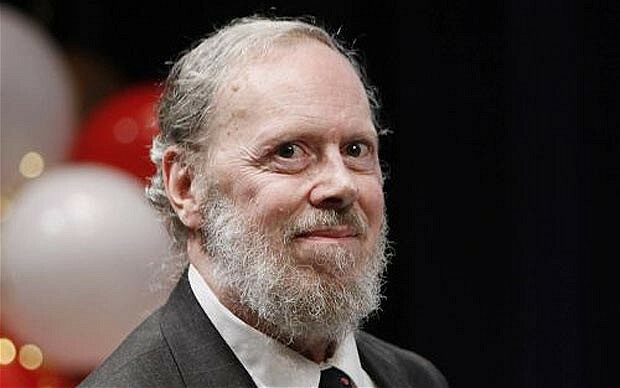 The guy created Unix. You know, which powers the Internet? That’s pretty important right? He created C, the language that many of us have used at some point in our lives. How often do we ask where these programs come from. Who made them? This is serious. Now look at the picture above. Does this gentleman scream charisma and personality like Mr. Jobs does? Well that’s open to interpretation. But there is nary any mention in the mainstream media of this guy. I’m disappointed in myself because I thrive on giving all the originators, creators, and brilliant minds their credit. I am also a big fan of underdogs. I am not going to try and act like I knew who this guy was, or champion all his accomplishments. But the underlying concern is, we don’t show the proper respect to the folks that deserve it. Steve Jobs did a lot of good things in the world. He also charmed the heck out of a lot of people. He knew how to talk, carry himself, and had the confidence to achieve anything. That’s an understatement. It’s the world we live in. Maybe the quiet ones don’t want all the headlines, recognition, and notoriety. All under-the-radar, they do the intense work and labor, the long hours, and rather enjoy their results in anonymity. All-the-while, the good talkers get all the credit. This is not meant to persuade you in any way. However, the tributes for Mr. Jobs were anything but sporadic. Lots of statements regarding his vision and groundbreaking products are justified. But we should spread the love wherever we can. There have been a lot of people who have done great things in this world, and should be recognized. Even if they don’t want to be. The fact that some choose to remain invisible, shows they are the ones who deserve the most praise. Sadly, it took his death for me to get to know more about him. It’s a life lesson; give respect to your colleagues, your friends, your family, your pets, professionals you admire, and all other loved ones while they are in your life today. Don’t find out when it’s too late. Whether it’s through an obscure headline, website, or second-hand information. You will love yourself and the wonderful people in your life that much more. What Was it Like Before the “Internet”? Can you go back 15 to 20 years back and recall using your computer and for what exactly? 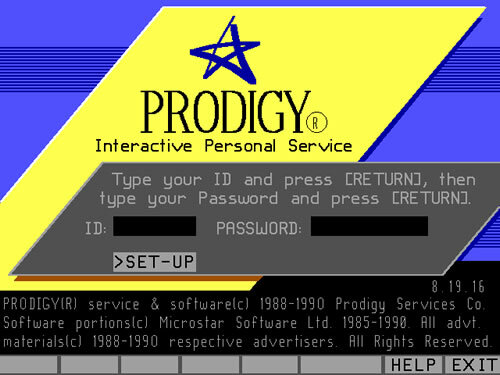 Prodigy, CompuServe, Delphi, Sierra Network, Playnet, Quantum Link, and a host of others. How about Bulletin Board Systems! (BBS’S) Were any of you a Sysop or Co-Sysop of a BBS? I get goose bumps as I write these terms. The old modem dialing out and logging on gives me chills as well. This was Social Media before the term was coined. And I have issues with that term. I will talk about that another time. You had your 2400, 4800, and 9600 baud modems. We thought they were so fast and revolutionary, At the time they were. And we learned to be patient and remain still, when waiting to download are favorite Freeware, Shareware, and Pirated 🙂 software. When the 14.4 modem debuted we went crazy, then the 28.8, 33.6, 56k etc. The speed got faster and we tried to keep up. And in many ways we got faster. I am projecting onto you how I feel. I sometimes still feel the Internet is too slow. That’s my own impatience. I wonder if I was indoctrinated to believe everything should be faster. In a conscious and unconscious state I was. Even as I type this, I expect this to be as fast as I want it to be. It’s as if I will never be satisfied. Now how many others am I speaking for? Will things ever slow down? Do they need to slow down? Should they? For the benefit of humanity, maybe it’s for the best. I’m not trying to sound doom-and-gloom here. But what is the rush? I know the big computer, cellular phone, and media companies need to promote the next big thing and make gigantic profits, with the next gizmo and gadget, we may or may not actually need. In this case, do all good (good?) things come to an end. I am noticing a plateauing of behavior by my peers. There is a sentiment and understanding, that this may not be sustainable. I have no evidence to support this. I just have my intuition and a feeling, that this can only go so far. Some of my friends are in agreement. It doesn’t mean I am right. My main concern is, what if the power grids and satellites blacked out one night. It may take very little (or a lot) for something to happen in the universe, where technology could go in reverse or retroactive. Are we mature enough and patient enough to remember how it used to be? I’m not saying it’s going to happen. And this is not meant to be a negative piece. I am happy we have evolved but at what price to humanity? There is a lot of good that comes with it. I want to focus on that. However, like many objects, does the world run on batteries too? 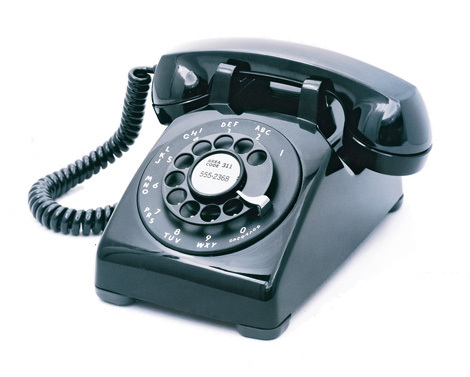 In future posts I will talk about how the reliance on technology has been good and not-so-good. 🙂 I will also talk about the online services of the past. Some were brilliant and ahead of its time. Hello everyone. My name is Ideen Barimani or IBarimani for short on the blog. How’s it going? I wrote a blog, that you can see on the right side of your screen, called All 81. 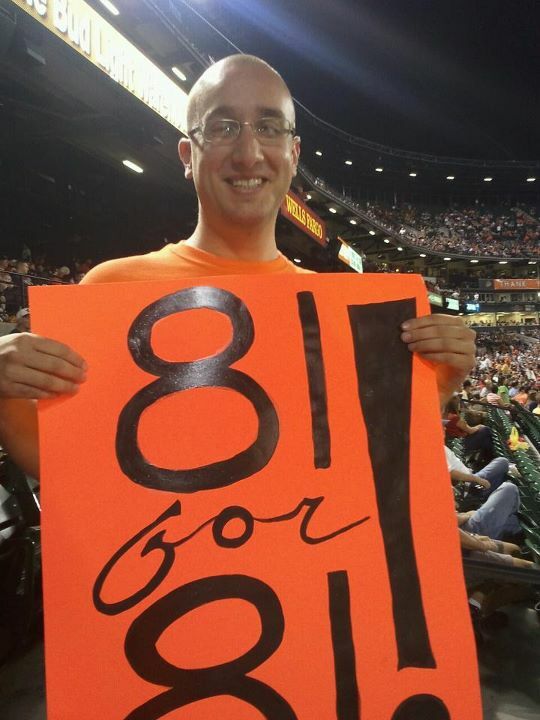 It has been a personal goal of mine to try to go to every Baltimore Orioles home game this season. And I am thankful I was able to do it. And I am grateful to all of my friends who helped me along the way. And I do need to give kudos to Facebook and Foursquare as well. We have rapidly expanded as a society and technology is in such a hurry. Does there need to be this sense of urgency? Well fortunately for me, it benefited me this season. I’ll let these speak for themselves! Facebook has worked hard to give their platform a whole new look. Usually, Facebook has made small tweaks here and there. However, this is a huge step to make their platform more seamless and complete. 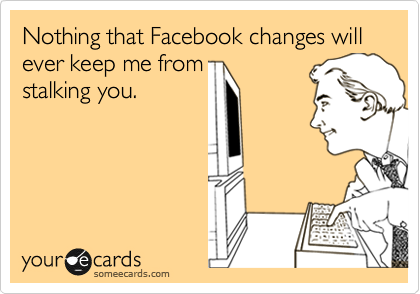 The changes are so involved that there has been the usual backlash when FB makes changes. Personally, I find all these changes necessary for them to evolve and keep up with the technologies that are available. I will dive in and show you what’s coming and an insight to understand why.